Check out this Certified Jaguar! Fully inspected by factory trained Technicians and backed with a 6 year 160,000km warranty. 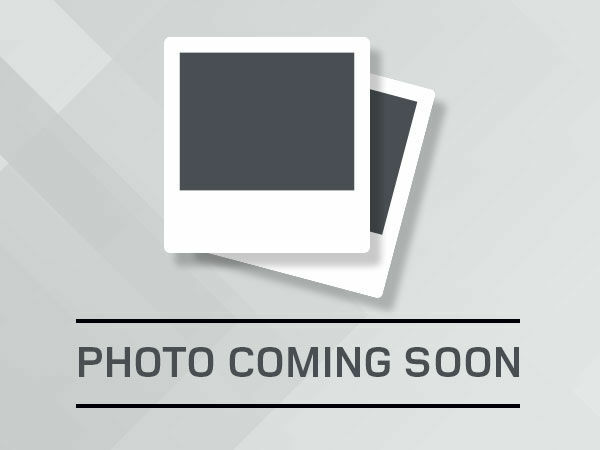 This Certified Land Rover has been fully reconditioned and is available for immediate sale. Finance rates as low as 3.9% and we now offer competitive leasing on all pre-owned cars! 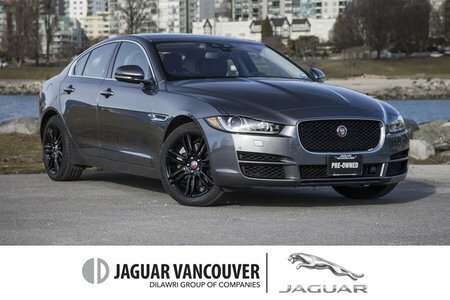 Bringing together the latest in technology, innovation, and design, our 2018 Jaguar XE S is gorgeous in Celestial Black Metallic! The Super Charged 3.0 Litre V6 powers our 340hp and is perfectly paired with a responsive 8 Speed Automatic. Quick and agile with Jaguar lightweight aluminum architecture, responsive steering, and taut suspension, our All Wheel Drive sedan promises a thrilling drive that will have you looking for the long way home while scoring near 7.8L/100km! 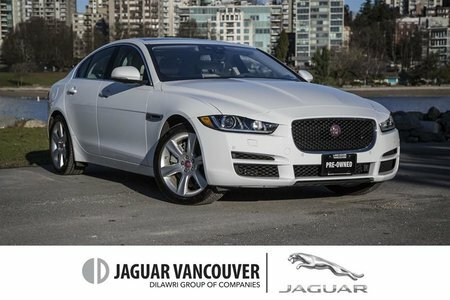 Our Jaguar XE S has an aerodynamic and muscular stance that is perfectly proportioned and enhanced with a beautiful grille, alloy wheels, and a swept-back hood. Enjoy a wealth of top-shelf amenities including remote key-less entry, push button start, an electric tilt and slide sunroof, dual-zone automatic climate control, an auto-dimming rear view mirror, and supportive highly adjustable heated leather seats. Staying seamlessly connected is simple with our central touchscreen, Bluetooth, and a Meridian sound system with HD radio, a USB port and an auxiliary audio jack. You'll be kept out of harm's way with stability/traction control, front-side and side-curtain airbags, and hazard lights that automatically activate under heavy braking. For added peace of mind, you'll appreciate InControl Protect with SOS emergency calling, Jaguar roadside assistance/stolen vehicle location, as well as InControl Remote which features a smartphone app with vehicle status reports, remote locking/unlocking and other remote features. 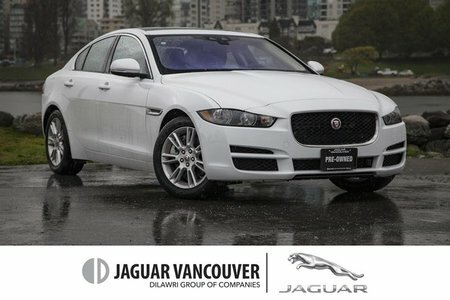 Dynamic, luxurious, and loaded with sporting style, our Jaguar XE will indulge your automotive fantasies. Print this page and call us Now... We Know You Will Enjoy Your Test Drive Towards Ownership! *MCL Motorcars is a downtown Vancouver Dealer. Due to space limitations, all Pre-Owned vehicles are kept off-site - Please book your appointment today so we can bring your vehicle on site before for your arrival. All Prices are plus $595 documentation fee. 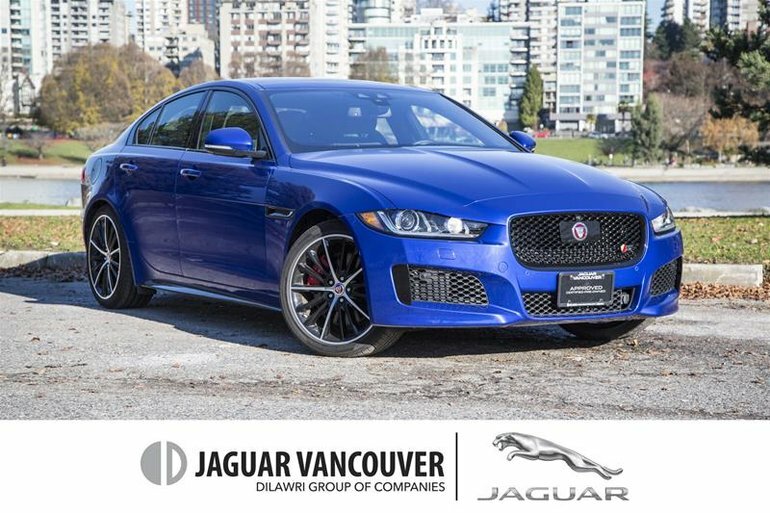 Interested by the 2018 Jaguar XE S 3.0L AWD ?